The Comic Book Legal Defense Fund (CBLDF) is fighting the good fight against comic book censorship, a problem that has plagued the industry for decades. In order to better educate myself, and by extension Therefore I Geek’s readership, I am starting a periodic series in which I will read all of the books in the CBLDF’s list of banned book case studies and discuss them. These blog articles will take the opportunity to evaluate the material on its own merits, as well as in the larger context of censorship and why these books were banned. 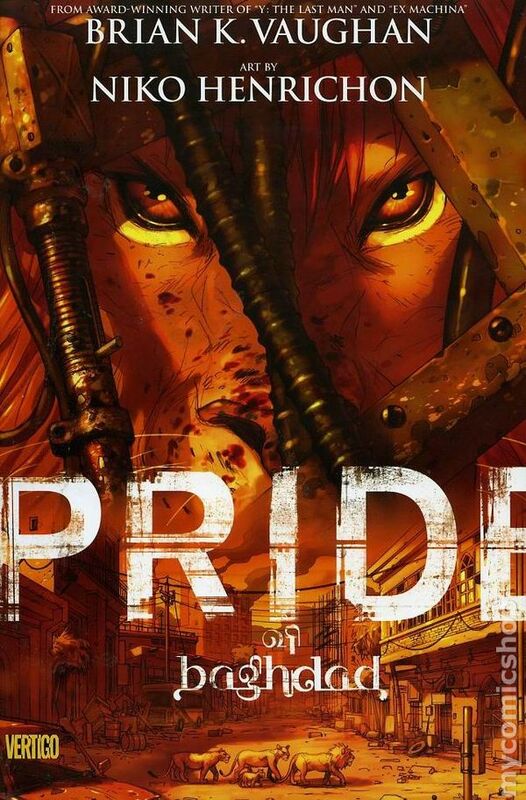 To kick off this new series, I’ll be discussing Brian K. Vaughan’ Pride of Baghdad.